CARFAX One-Owner. Clean CARFAX. 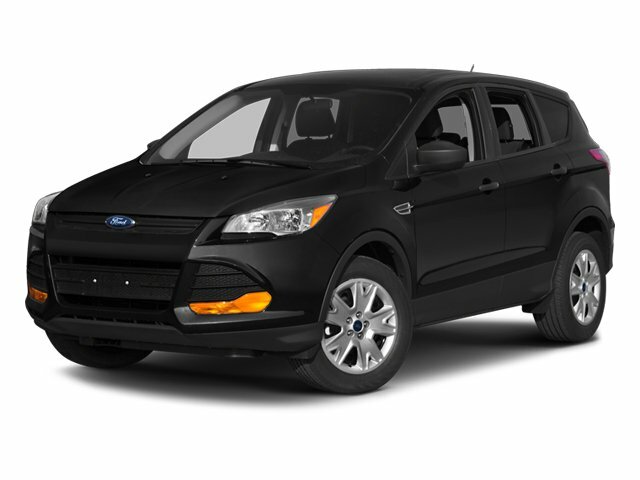 ** ONE OWNER **, ** CLEAN CARFAX **, ** NAVIGATION **, ** LEATHER **, ** POWER SUNROOF **, **POWER SEAT**.Reviews:* Get-noticed styling, great fuel economy and a powerful technology package are three good reasons you might find the Ford Escape is just what you want in a small crossover. Source: KBB.com* Good performance and fuel efficiency; many high-tech features; agile handling; high-quality cabin; comfortable seating. Source: Edmunds* The second year into it's gorgeous new look, the 2014 Escape is a Compact SUV that is an absolute head turner. A major departure from its previous generation, this Escape is refreshingly modern with sporty attitude. Further, the interior of the escape showcases impressive design, and high quality materials. It is one of the leaders in its segment for gas mileage, styling, and great technology as well. There are three trims available for the 2014 Escape: S, SE, and Titanium. Standard on all 3 models, is a generous assortment of standard features. You get a 6-Speed SelectShift Automatic, Power Windows and Door Locks, a Storage Bin under the floor, Touch Controls on the Steering Wheel, and Flat Fold Rear Seats. Plus, it comes with a 6 Speaker, AM FM Radio with CD, MP3 and Auxiliary Input, and a Communication and Entertainment System. The Base S Trim comes with a 2.5-Liter, 4-Cylinder Engine with 168 Horsepower that gets an EPA estimated 22 MPG in the City and 31 MPG on the Highway. Plus the base also comes standard with the MyKey system for parents of younger drivers. The SE and Titanium come standard with a 1.6-Liter EcoBoost engine, with an optional 2.0-Liter EcoBoost I-4 engine available instead. Bought as a two-wheel drive, the 1.6-Liter gets an EPA Estimated 23 MPG City and 33 MPG Highway, while the 2.0-Liter gets 22 MPG City and 30 MPG Highway. The S Trim can only be purchased as a two-wheel drive but the other two models give you the option of four-wheel drive as well. In terms of Safety, all models are standard equipped with Front and Rear Anti-Lock Brakes, AdvanceTrac with Roll Stability Control, and a Rear View Camera Come experience the 2014 Ford Escape for yourself today! Source: The Manufacturer SummaryAwards:* 2014 KBB.com 10 Best SUVs Under $25,000 * 2014 KBB.com Brand Image AwardsWhether you are in the market to purchase a new or pre-owned vehicle, if you need financing options, we'll help you find a car loan that works for you! Even if you have bad credit, or are a first time car buyer, you can trust that Covert Ford Chevrolet Hutto will professionally fit you into the automobile of your choice. Please call Dan Covert or text at (512)993-7628 for personal assistance or come out and see us. You can also call the main number (877)918-0151 for assistance. We are just a short drive from these areas Austin, Round Rock, Georgetown, Leander, Pflugerville, Killeen, Temple and other local cities. Please come out and be apart of the Covert family.